Subtitle: Former Agent FBI Agent, Gary Aldrich, noted many examples of unbelievable rage flowing out of Bill, Hillary, and White House staffers, in his book, "Unlimited Access". This torrent of rage is typical for anyone heavily involved in the occult, but far more pronounced in anyone who is an Illuminist witch. Throughout his book, "Unlimited Access", former FBI Agent Gary Aldrich was continuously noticing an unbelievable and very unusual, torrent of rage flowing from Bill, Hillary, and their White House staff. Aldrich suspected that much of this flood of rage was the result of people taking drugs, especially cocaine, and he was partially right. However, this type of rage is also very typical of a person who is a practicing witch, or one who is an Illuminist witch. Therefore, we have one more bit of proof that Bill and Hillary are practicing Illuminist witches. Please reserve judgment on this sensitive issue until you have had a chance to review our material. The Apostle Paul correctly tied the practice of witchcraft into hatred in Galatians 5:19-20, where he was listing all the fruits of the Holy Spirit and comparing them with the fruits of wickedness. Listen to his words: "Now the works of the flesh are manifest, which are these; Adultery, fornication, uncleanness, lasciviousness, Idolatry, witchcraft, hatred , variance, emulations, wrath, strife, seditions, heresies, Envyings, murders, drunkenness, revellings, and such like ..."
While this list generally covers wicked men in general, the three that Paul lists in succession, 'Idolatry, Witchcraft, and Hatred' go together like white goes with snow. When a person wants to become a powerful witch, he or she invites numerous demons to indwell them. What separates a person who is a powerful witch from a less powerful witch is the number, type, and power of the demons indwelling. Therefore, the most powerful witch will be the one who has called into himself or herself the greatest number of demons and/or the most powerful. 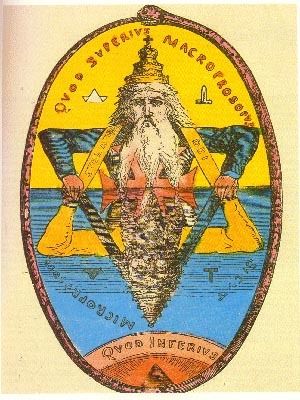 White Magic practitioner, Trevor Ravenscroft, writing in his expose' on the occultism of Adolf Hitler, noted that Hitler and his fellow brethren of the Satanic Secret Society, the Thule Society, regularly held rituals in which they repeatedly called for the Spirit of Antichrist to enter young Adolf. History records the effective, and destructive, fury that this Black Magick Satanist wielded. The Bible teaches that God is unlimited, supernatural Love, Mercy, and Compassion. Since Satan wants the opposite of what God wants, we know that he is supernatural Hatred, Mercilessness, and Pitilessness . Satan's hatred and fury is limited only by the fact that he is a created being, and does not possess the attribute of limitlessness. However, Satan is supernatural, and his attributes are, therefore, supernatural. Unless he is specifically limited by God, Satan can do just about anything he wants to do in this present world. Consider the teachings of the Bible concerning Satan's present role in this created world. 1) In Job 1, Satan is pictured as being in control of this earth to the point of being pictured as "walking to and for" in the world. This picture is like a gardener walking up and down in his small garden plot! 4) In Matthew 24, Jesus gave a great many of the signs and wonders by which His redeemed children would know that they were living in the End of the Age. In verses 21-22, Jesus told us exactly how furious and full of hatred Satan truly is. Listen: "For then shall be great tribulation, such as was not since the beginning of the world to this time, no, nor ever shall be. And except those days should be shortened, there should no flesh be saved ..." This statement literally means that Satan would like nothing better than to kill all living human beings on earth, even those who serve him in witchcraft. Why does Satan hate mankind with this kind of fury? He hates us this much because God made us in His image. This Scripture provides us with the main reason why the New World Order plans for a two-thirds reduction in the population of the world shortly after Antichrist receives all the political power of the nations of the world; they hate mankind with supernatural fury, unbridled, uncontrolled, fury. Jesus is saying that, if He did not personally intervene, Satan would kill all human beings on earth. This is the kind of hatred Satan has for us. Therefore, it is not a reach for us to believe that a person who is powerfully possessed by demons would exhibit a great deal of hatred toward others, even toward fellow occultists. Now, let us examine this hatred in another light, the light of extreme pride . The Bible tells us of the intense self-pride which Satan exhibited toward God. Listen to what Satan said in his heart just before God brought judgment upon him for his rebellion; remember, this prideful rebellion by Satan against God occurred before Jesus Christ created the universe. Listen to the pride of Satan as he plotted with one-third of God's angels to overthrow God and assume his control of the universe. God is speaking to Satan. "For thou hast said in thine heart, I will ascend into heaven, I will exalt my throne above the stars of God: I will sit also upon the mount of the congregation, in the sides of the north: I will ascend above the heights of the clouds; I will be like the most High." [Isaiah 14:13-14] Notice the extremely prideful assertions Satan made about himself; five times, Satan uplifted himself by saying "I will ". God responded by bringing judgment upon Satan, thereby dramatically changing his countenance from the most beautiful of all the angels to being most hideous. The holy angels who joined with Satan in his rebellion were similarly changed, becoming demons. In witchcraft, Satan teaches a couple of huge lies to his human adherents that creates great pride and rebellion in their hearts. First, Satan teaches that he and God are opposite, and equal. The symbol below captures this essence perfectly. As you can see, all elements of that which is above the dividing line are replicated down below the line. Opposite but equal. Secondly, Satan teaches his followers that, at the Battle of Armageddon, he and his forces will defeat God and throw Him out of heaven and off His throne. Satan will then rule forever. Therefore, Satan exudes great confidence and extreme pride to his followers now, as he teaches this future victory. For these two reasons, a Satanist generally, and an Illuminist specifically, will exhibit great self-pride. The Illuminist, because he or she practices the most powerful form of Black Magick possible, really and truly detests anyone else who is not an Illuminist. This extreme hatred comes from the possession of the many and powerful demons inside the practicing Illuminist and can hardly be contained. This hatred can come exploding outward to anyone at anytime. At one time, the witch will exhibit this hatred toward a person whom they consider to be really below them, or even to another Illuminist, particularly if that other person is below them in rank. Satanists also place great emphasis on looks or silent "stares" as a means of communicating their hatred and disdain. With this background in mind, let us now examine the terrific hatred which Former FBI Agent, Gary Aldrich, observed from the Clintons and their staff in his book, "Unlimited Access". From this point, we shall be printing all excerpts from "Unlimited Access" in black, with our comments in blue, and with any comments from former Illuminist witch, Doc Marquis in red , as we have done throughout this series. 1. "The Clintons are not as they appear to be ..." [p. xiv] This early statement by Aldrich provides one of the keys to understanding the type of people Bill and Hillary truly are. While Aldrich had no idea that Bill and Hillary were practicing witches, he did see the duplicitous nature which all Satanists cultivate. Keep this key fact in mind throughout this article "The Clintons are not as they appear to be ..."
2. She [Hillary] is more powerful than Bill. She's a 4th, he's a 3rd. Doc Marquis' statement that Hillary outranks Bill in Illuminist Witchcraft is the second key to understanding the truth. Time after time, you will see strong evidences that Hillary is a more powerful witch, even though Bill occupies the Presidency. You will see Hillary chafe under this reality. 3. "The White House has a completely amoral worldview." [p. xiv] -- As does the Illuminati. Remember, for them the 'ends justify the means'. All practicing witches have this amoral worldview, where they believe nothing is essentially forbidden, especially if they want it. Illuminists, especially, believe this with all their hearts. Listen to Aldrich as he puts his finger on this belief. "The Clinton crowd justified their behavior by their power -- and the limits of their power and behavior were, in their own eyes, nonexistent." [p. 32] [Illuminati] As you view the actions of Bill and Hillary carefully, you will be able to see that they really do believe there is absolutely no limit on anything they want to do. Even all the investigations that are swirling around them do nothing but reinforce this belief. Not only have Bill and Hillary never been convicted of anything, their stubborn defiance just erodes and weakens our entire Judicial Court System! Very soon, once Bill and Hillary have proven they can lie under oath and not be punished, others accused of crimes will be demanding the same treatment. With witches in control in Washington, D.C., laws could very well be changed that would eliminate the penalties against lying. Then, our entire Judicial System will collapse, and anarchy will reign, just exactly as any Satanist fervently desires! 4. "After taking the oath, Bill and Hillary Clinton were taken to a holding room in the Capitol building. Minutes passed while everyone waited for bill and Hillary to emerge to commence the inaugural festivities. A Capitol Hill police officer was ordered to inform the Clintons that everyone was ready and waiting. The Policeman knocked and opened the door of the holding room. He immediately shut it, beating a hasty retreat. Hillary Clinton was screaming at her husband in what was described as 'uncontrolled and unbridled fury'. [She wanted to set up her office in the space reserved for the Vice President]. The Capitol Hill police and the Secret Service quickly conferred about intervening if it appeared the president's life might be threatened by the first lady! The question before them, was 'How much physical abuse is too much physical abuse?' "
By Illuminati perspective, she should have her own office, since she outranked him as a 4th level witch. This type of behavior is also i indicative of demonic possession. This type of absolute demon-inspired fury is very typical of someone who is thoroughly into the occult. But, note also, that two very distinct realities lurk just below the surface in this most telling incident. First, Hillary must have been possessed of supernatural energy and strength, since she is definitely not the physical specimen Bill is. In other words Bill should have been strong enough to keep her from physically attacking him so vigorously that the Secret Service was afraid she might kill him. However, if we assume Hillary is a powerful witch, the demonic force within her would have given her enough strength to kill Bill. History is replete with examples of a demonically possessed person suddenly getting supernatural strength [Matthew 8:28; Mark 5:1-15, especially verse 3]. Hillary must have been physically attacking Bill with just this kind of supernatural strength. How many First Ladies in history have physically attacked their husbands with such ferocity? Secondly, this incident strongly implies that Bill did nothing to defend himself, that he was utterly passive in his response. At least, Aldrich does not record any defensive response from Bill. But, if you understand Marquis' assertion that Hillary outranks Bill [see paragraph 1, above] in the Illuminati, then you would understand his reluctance to fight back against such a powerful superior! Once again, the unexplainable becomes perfectly understandable once you realize the powerful witchcraft of both Bill and Hillary Clinton, and once you understand that Hillary outranks Bill. This terribly negative mannerism is typical Illuminati actions and mentality. "I am better than you and will prove it". Notice that Marquis indicated immediately after the phrase, above ["too many of Clinton's staff could not control their tempers" ] that this type of behavior was indicative of demonic possession. But, we should expect demonic possession if the President and First Lady are powerful Illuminist witches. Once again, this very unusual behavior by this high level Clinton staffer is perfectly understandable once you accept the reality that Bill and Hillary -- and quite a number of their staff -- are powerful practicing witches. This behavior is exactly what one would expect from Illuminist witches. This type of powerful stare is also very typical of the behavior of a practicing witch. Occult historians have noted the very powerful influence which poured out of Hitler's eyes. If he wanted to charm you, he could do so easily. People would continuously came away from a meeting with Hitler terrifically charmed by him; this was the reason British Prime Minister Chamberlain came from his Munich meeting with Hitler, pronouncing they had reached an historic agreement that would produce "peace in our time". Chamberlain went into the meeting determined to resist Hitler, but came out of it entranced. Conversely, if Hitler wanted to intimidate an opponent, he could easily do so with the icy, Satanic stare emanating from his eyes. Occultists call this type of Satanic influence, "Charming", noting that it can work both ways, i.e., to bring a person to your side, or to intimidate. Obviously, Hillary was attempting to intimidate in this instance. Hillary is also displaying her obvious Illuminist contempt for anyone who was not also an Illuminist witch. Consider this quote which demonstrates typical Illuminist contempt for other people, especially mere mortals. The Illuminati plans to "take control of the world by the use of economic 'silent weapons' in the form of 'quiet warfare' ... by a process of benevolent slavery and genocide." ["Behold A Pale Horse", by New Age author, Bill Cooper, p.49] Can you imagine a more prideful and arrogant attitude than this, to plan to kill enormous numbers of people and consider it "benevolent genocide"? Then, when they enslave those who will be left alive, they consider it "benevolent slavery"! Can you also sense the underlying RAGE propelling this part of their plan for humanity? Do not be deceived by outward appearances! "This public behavior is surrender born of fear, laziness, and expediency. It is the basis of the welfare state as a strategic weapon, useful against a disgusting public." [Ibid., page 60] Certainly, Hillary must have treated this permanent employee the way she did, in paragraph 7 above, because she considered him "disgusting". "The man of the house must be housebroken to ensure that junior will grow up with the right social training and attitudes. The advertising media are engaged to see to it that the father-to-be is ----y-whipped before or by the time he is married." [Ibid., page 63] The way in which Hillary was observed physically attacking Bill on Inauguration Day [paragraph 4 above] clearly indicates that this is the role to which Bill Clinton has been relegated! "A woman with a newborn baby is too starry-eyed to see a wealthy man's cannon fodder or a cheap source of slave labor." [Ibid] Once again, we can see the arrogance of Satan coming out in this unbelievable statement. Now that we have seen the unbelievable self-pride, arrogance, and unbridled rage of the Illuminati toward the rest of mankind, can you see how Hillary's observed behavior, and similar behavior on part of her staff, is "smoking gun" proof that this White House crowd are practicing witches? The fact that Hillary wanted people to refer to her as "Queen" is another indication that she is an Illuminist witch. Further, no powerful, Illuminist witch would want "mere mortals" to even look at her as she passes down the hallway. This last statement is typical Illuminist. Now, we see that Bill Clinton treats his staff with the same type of "charming" stare that Hillary used in paragraph 7, above. We can also see that Bill's true attitude ["insulting"] for the regular White House staff is totally out of character with the carefully cultivated Madison Avenue outward appearance they have created. Bill is not the compassionate, "I feel your pain" kind of guy; but, such insulting attitudes toward other people is very typical of an Illuminist witch. 10. "... Hillary Clinton is as bad as the president. She has told her Secret Service Protective Detail agents in public to 'Stay the f--k back, stay the f--k away from me! Don't come within ten yards of me, or else'." [p. 90]. As we reported in NEWS1227, this type of attitude that both Bill and Hillary do not feel the need for Secret Service protection is also a typical attitude of a powerful witch. Such a witch would believe that his or her personal demons would guarantee their safety! Also, please note the arrogant, insulting, and full-of-rage language Hillary uses on the Secret Service people, who are just genuinely trying to do their jobs as prescribed by law. Once you have carefully weighed our proofs, you will most assuredly agree with our contention that Bill and Hillary Clinton are powerful, practicing, Illuminist witches. These observed behaviors pass all boundaries of "normal" displays of anger. But, intense rage sparked by the supernatural being residing within the witch, provide just this kind of unbelievable fury. However, we should expect nothing less if we really believe that the recent reorganization of the world's nations into the prophesied 10, plus all the other prophecies being fulfilled in our daily news, portend the near arrival of Antichrist. For, as we demonstrated in NEWS1215, "Clinton Identifiable In Prophecy As One of the Ten Kings", the Bible foretells that each of these 10 Super Nation leaders is spiritually identical to Antichrist. Therefore, the fact that Bill and Hillary are Illuminist witches comes as no surprise; we expected this kind of development. Truly, we are living at the End of the Age.